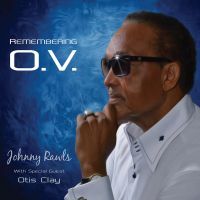 Rawls, Johnny - Remembering O. V.
With »Remembering O. V.« Johnny Rawls pays homage to his mentor and Southern soul legend O. V. Wright, injecting new life and giving fresh polish to some of Wright’s material. Rawls is up to the task, delivering heartfelt goods on what could easily be described as his pet project. For blues and soul devotees this sure is a thrilling experience. Lustful horn arrangements, Hammond organs and smoothly handled rhythms make this album a belter, with Rawls settling in comfortably with his tuneful vocals. From the stirring “Poor Boy”, to the irresistible “Precious, Precious” and the tongue in cheek “Eight Men, Four Women“” Rawls delivers a strong collection of tunes that plays to his numerous strengths as a performer. With guest vocalist Otis Clay joining in the fun on “Into Something”, “A Nickel and a Nail” and the albums one original number “Blaze of Glory” the results are just as impressive. It’s down to rippling, thoughtful arrangements to portray the scenery, and steamy, back to the roots singing providing that joyous wake of soul brilliance. Last but not least - the album strikes an effective contrast in vocal styles, as Clay slightly edgier approach meets Rawls’ unique taste for melody. This is soul blues self indulgence on a grand scale. A worthy tribute indeed to a fallen soul comrade.